Medical research has been central to biomedicine in Africa for over a century, and Africa, along with other tropical areas, has been crucial to the development of medical science. At present, study populations in Africa participate in an increasing number of medical research projects and clinical trials, run by both public institutions and private companies. Global debates about the politics and ethics of this research are growing and local concerns are prompting calls for social studies of the “trial communities” produced by this scientific work. Drawing on rich, ethnographic and historiographic ­­­material, this volume represents the emergent field of anthropological inquiry that links Africanist ethnography to recent concerns with science, the state, and the culture of late capitalism in Africa. P. Wenzel Geissler teaches social anthropology at the University of Oslo and at the London School of Hygiene and Tropical Medicine. He studied medical zoology in Hamburg and Copenhagen and social anthropology in Copenhagen and Cambridge. Since 1993 he has worked in western Kenya, conducting first medical research and then several years of ethnographic fieldwork. 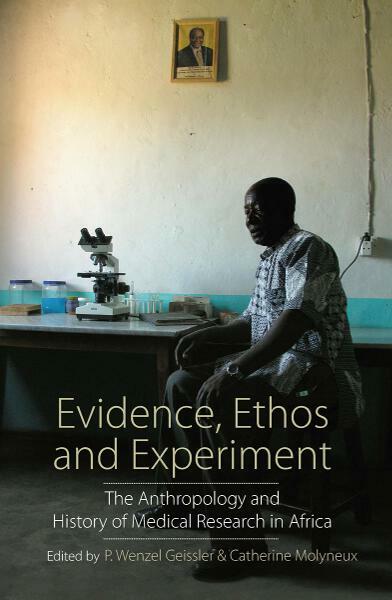 Currently he is writing an ethnography of post-colonial scientific research in Kisumu, Kenya. Catherine Molyneux, Ph.D., is employed by Oxford University and has been working as part of the KEMRI-Wellcome Trust Research Programme in Kilifi, Kenya, since 1994. She currently co-leads the Social and Behavioural research (SBR) group in Kilifi. Her current research focuses on community accountability and producing new thinking, evidence and recommendations around strengthening community involvement in biomedical research and health delivery in sub-Saharan Africa. Chapter 2. Can one Rely on Knowledge? Chapter 18. Differences in Medicine, Differences in Ethics: or, When is it Research and When is it Kidnapping or is That Even the Right Question?